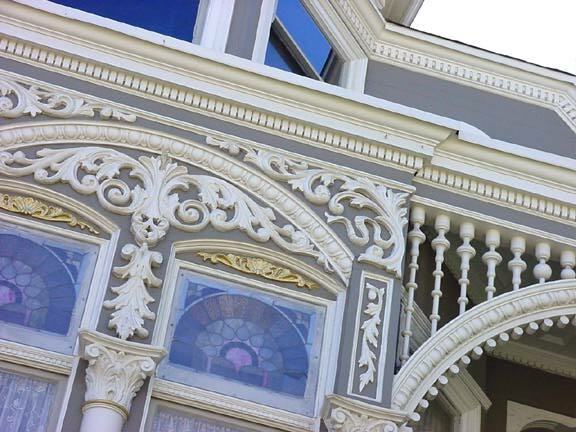 Mister SF wants to help readers get more out of their passion for San Francisco's beautiful architecture. Don't be intimidated because you have no idea who built this house or when. The secret to decoding the music of San Francisco's architecture is simply to learn a few of the notes. Focus on the part or parts that catch your fancy. Darlene, a San Franciscan who emails from her Pine Street studio, says her fascination for sunbursts is obsessive! Use Mister SF's Architecture Primer to get started. As you walk or drive to work, or stroll on a visit to the City, notice how your favorite architectural element interacts with others. Mister SF guarantees that in two weeks, your enjoyment of your favorite buildings in the world's favorite City will increase many-fold. Enjoy!